The Sacred Art Gallery had the honor of being invited to participate in the Napa Institute’s conference in Napa, California. We were able to present our beautiful artwork and our mission to this special group who is doing their part to stand for Truth and Beauty in our culture. 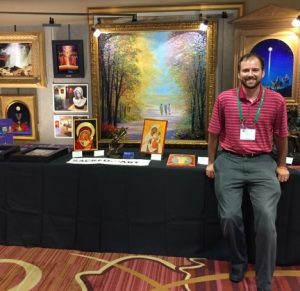 The goal of the Napa Institute is to support Catholic leaders in their missions to evangelize the world through the message of the Gospel and to serve as a leaven in educating, forming and networking those in the Catholic community who can be sources of renewal for their parishes, schools, neighborhoods and small communities.